Is your company supporting a UK cause as Charity of the Year? Our website allows people to send e-cards for special occasions and donate the cost of greeting cards and stamps to charity. You can then share this with employees, colleagues, and friends, inviting them to send e-cards and to donate in lieu of greeting cards, adding to your total. 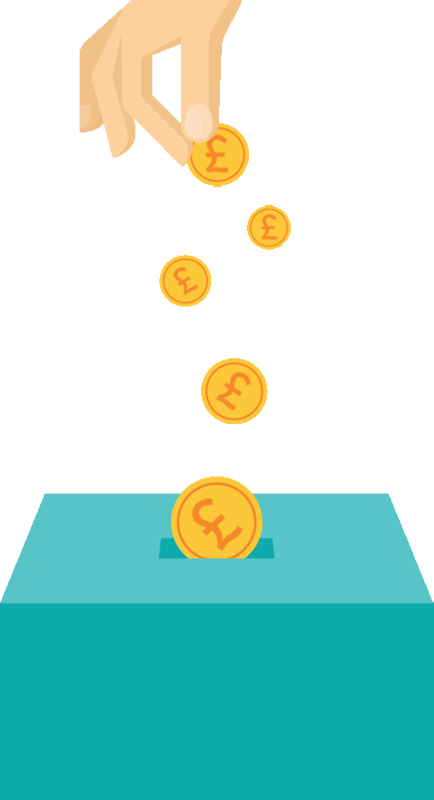 The running total of donations, and carbon reduced, is featured on your page, which you can share to show what you've achieved. • Engage employees in an innovative fundraising initiative. • Direct a proportion of the £1.6bn spent annually on greeting cards in the UK to a cause that your company supports. • Contribute to environmental savings, see our carbon study infographic. You are likely planning all sorts of activities to raise funds. DontSendMeACard simply involves an email invitation to everyone in your organisation to send e-cards instead of greeting cards for special occasions, from the comfort of their desks. Note that if the cause you wish to support is not featured on our list of charity partners, please enter the name and we'll invite them to join. "We’re delighted to be receiving money that would otherwise be spent on greeting cards, preventing unnecessary waste. Every £1 donated to us provides 4 meals for vulnerable and hungry people using surplus food which would have otherwise been wasted." 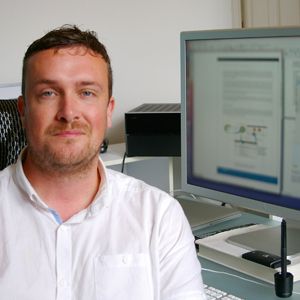 DontSendMeACard is a collaborative of web designers and developers based in Exeter. 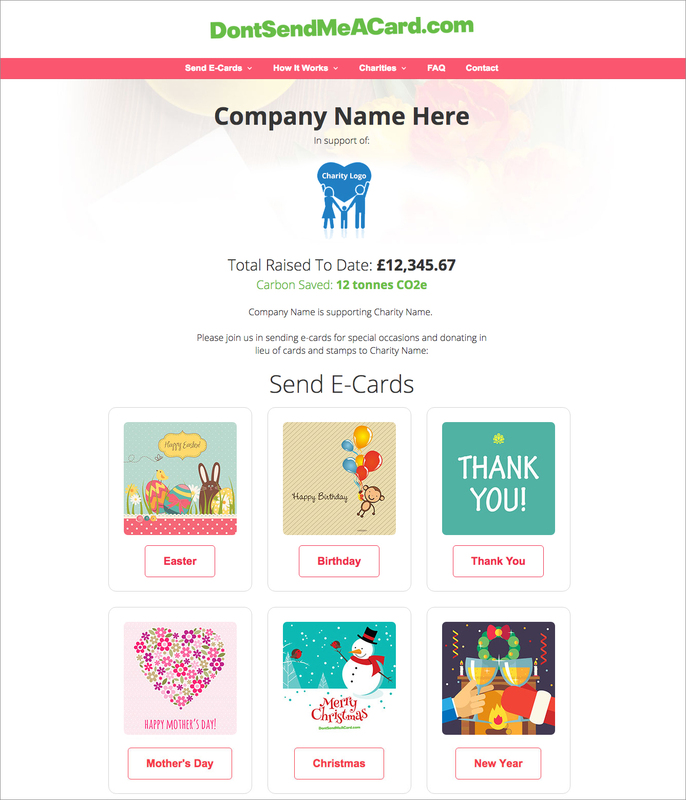 We've partnered with over 50 UK charities to offer a digital alternative to greeting cards, whereby the sentiment of a card can be maintained with custom e-cards, and the cost of cards and stamps can go to causes that rely on donations. DontSendMeACard is backed by the Seedbed accelerator programme at the Dartington Hall Trust and Plymouth University. "You can save trees in more ways than one by sending one of our special e-cards and donating the equivalent cost of cards and stamps to SOS - less paper used, more forests saved - a fantastic way to show your support for Sumatran orangutans. Help us reduce waste and keep more trees standing!"